1.Always have your hair cut dry. 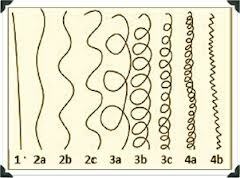 What Curl type do you most resemble? 4.Sleep with a silk pillowcase. 6.Add products to hair when extremely wet. 7.Do not blowdry without a Diffusor. I am using the Deva Hand diffusor attachment for my Dryer. 8.Don’t use products with sulfates/silicones or parabens. Anything ending in “cone” is liquid plastic and suffocates your curls. 9.Limit heat on your curls. Invest in a Hood style dryer if you have the room and $$. 10. Research a potential new curl artists portfolio to make sure you like their style of work before you book an appointment . 11. 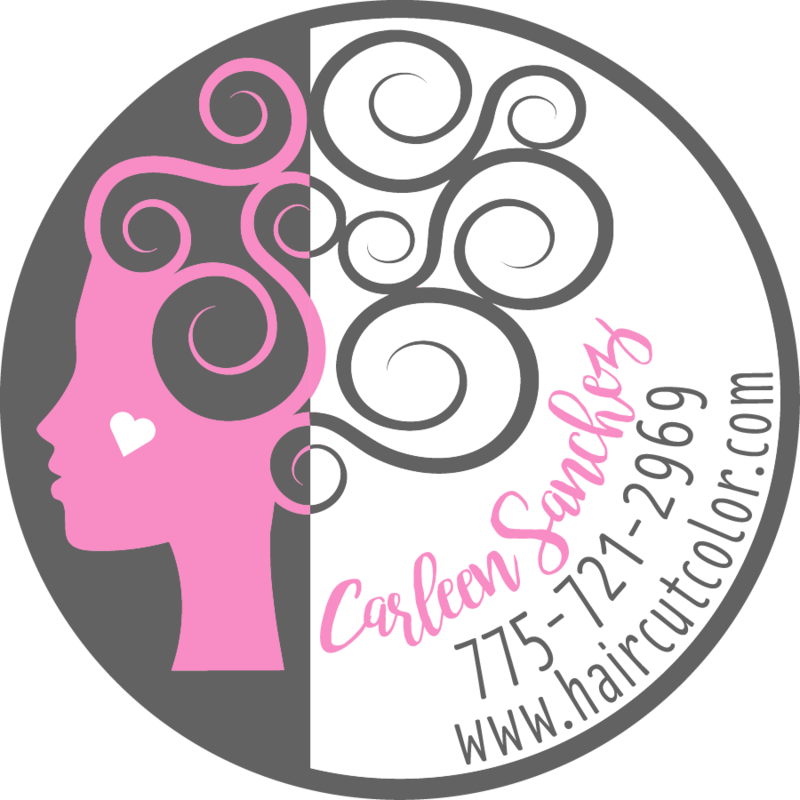 Go to a Curly Hair Artistry Certified Curl Artist whenever possible. 12. Don’t let thinning shears or Razors near your curls. These are thinning or texturing shears. You do not want these used in your curly hair! 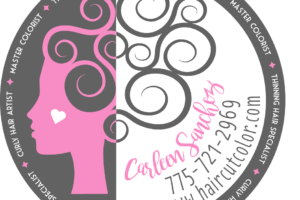 Hair artistry is not “one size fits all” and it is so important to relax and enjoy your beauty time in the Salon.Find a curl Artist you like and stick with them. Frequent Salon hopping is going to make it hard for you to reach your curly goals. I love you Carleen! 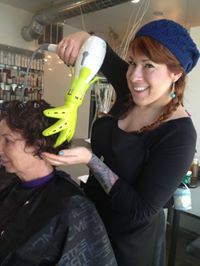 I love your work ethic, I love your passion and commitment to your hair art and more importantly, to your clients. What am I saying?!?!? To your FRIENDS. You treat every single person who comes into your salon like they are the most important person in your life. I applaud you and the magical work you do. From the bottom of my heart, and my lips to your ego (tee hee), I adore you and everything you do. Thank you for all you do. I have very curly hair that isn’t easy to cut or highlight well. I live in Truckee (CA) and when I first moved here I got a very expensive (very) and very crappy haircut and highlight from someone here in town. Then I did my research and found Carleen! 3 awesome cuts and some beautiful balayage highlights later, I wouldn’t go anywhere else. People: Why would you go anywhere else? This woman attends more training than I do, and I’m a lawyer. She is the most educated stylist I’ve ever seen. I wish everyone invested the care and love in their career that Carleen does (myself included!) Plus, she’s warm and low key. On top of all of this, I learn something every time I go in about how to better care for and style my hair. Probably because Carleen has learned something new every time I go in.